Samsung is planning to 86 the Samsung Galaxy Tab 3 7.0 according to the latest speculation about the upcoming tablets being produced by the Korean based manufacturer. Last week, we mentioned that Samsung was working on both a 7 inch and 10.1 inch Galaxy Tab model, but has decided to drop the 7 incher to focus on the Samsung Galaxy Note 8.0, a model that we will see next month at MWC. We've seen this tablet with an S-Pen and it could be priced in the $249-$299 range in order to undercut the 7.9 inch Apple iPad mini. How well the Samsung Galaxy Note 8.0 sells will determine if Samsung decides to go ahead with a Samsung Galaxy Tab 3 8.0 model. The Wi-Fi only version of the Samsung Galaxy Note 8.0 met with the FCC on Friday, which usually is a sign that things are progressing toward a launch. Yes, it is a jumble of numbers, but this is how Samsung has decided to differentiate its tablets. 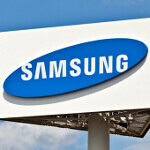 According to SamMobile, under the code name Kona, Samsung will produce the Samsung Galaxy Note 8.0 with three variations. There is a model with 3G/HSPA connectivity (GT-N5100), Wi-Fi only (GT-N5110) and LTE (GT-N5120). The same three variations will be available for the Samsung Galaxy Tab 3 10.1 ranging from 3G/HSPA (GT-P5200), Wi-Fi only (GT-P5210) to the model with LTE support (GT-P5220). The Samsung GT-P8200 is listed as the Samsung Galaxy Tab 3 which is supposed to be a high-end tablet set to be displayed next month at MWC. It is rumored to have a 5MP camera and 16/32GB of storage with availability in the first half of this year. This model runs on 3G/HSPA while the GT-P8210 is Wi-Fi only while the GT-P8220 offers LTE connectivity. Finally, there is some talk that Samsung will offer up a sequel to the Samsung Galaxy Note 10.1, currently code named Vienna. Remember, the Galaxy Note tablets, unlike the Galaxy Tab slates, offer S-Pen capabilities, so if that is what you are looking for in a tablet, you can narrow your search. "Samsung innovated the smartphone segment now others would be hurrying to copy that size range ... Apple just made the beginning" You sure are right! Samsung before iPad mini = everything 7 inches Samsung after iPad mini = killed 7 inches trend and follow 8 inches did you see the clear picture? Do you remember Galaxy Tab 7.7, Wendy? Really like the 8.0 with the stylist. Didn't Samsung have a 2560x1600 11" display at their Exynos 5 presentation last year? That could make it to the Note series as the Note 11, it'll probably be the first to have the Exynos Octa if the Note III or GS4 don't get it. I don' like the supersized S3 and Note2 design.. Looks cheap! 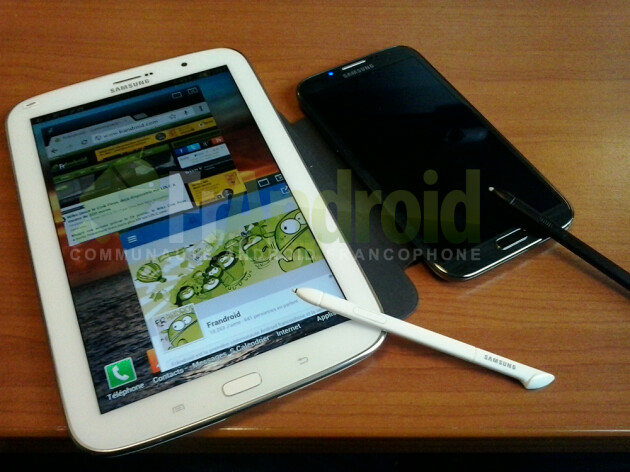 They should give the galaxy tab 3 a 1080p Super Amoled HD display or a 2560 x 1600 Super Amoled HD display. I currently have the nexus 10 and the display is great as far as detail and everything else goes but to me the colors it produces look faded and dead. I would love to see a samsung tablet with a Super Amoled display. SAmsung!!! please remove that ugly home button!! !